As the old adage goes, when you get given lemons, make lemonade. 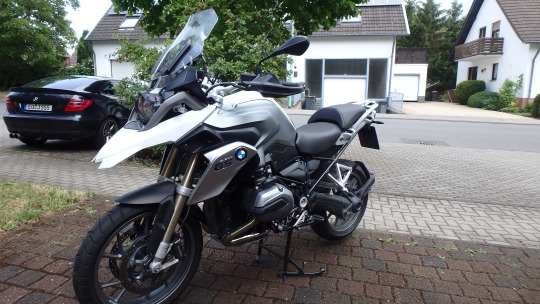 I’ve been “eyeing up” the BMW R1200GS for a little while now. Being that it’s a bike that can tour the globe. And now with Agnes parked up in the garage being reserved for race tracks and autobahns, what better opportunity to check out how this bike performs? The sheer size of the thing is daunting to start of with, but for a 1200, she is remarkably light on the bars. BMW got the balance absolutely perfect here. At low speed and sharp turns, it’s not at all clumsy, nor wants to fall over. I opened the throttle reasonably full (in my opinion) coming home from the dealer. I had to laugh inside my helmet at how sluggish this bike was for acceleration. But she was being compared to “Agnes” so hardly a fair comparison. One thing that is already clear however, she is very, very comfortable. It has the lightest clutch I’ve ever felt and bar warmers to keep my hands all nice n toastie. I can even turn my head to check my blindspot without destroying my spine. Did I mention comfy?!? In the upright riding position, I immediately felt at home. Being the same position as my XT660x back home. In turn this means I immediately felt confident on this bike and confidence is everything when riding. So I have 2500km’s in front of me for a test run, down through Switzerland and onto the Stelvio Pass. Depending on how the run goes, perhaps I’ll come home with one?